Las Vegas Senior Living is a blast! 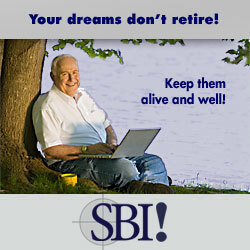 Looking to retire? and have some fun, it does not have to be ALL "Sinful", we have so much to offer, . from Incredible golf experiences to unlimited groups and activities to every concoction of cocktail plus great food! This page will be a great resource for you whether you live in Las Vegas or plan to visit. Las Vegas Seniors Meetups visit all of the great groups here! Solera At Stallion Mountain - East location in 89122, New homes $150,000 to $190,000. Guard Gated, Golf, recreation center, fitness room, pool, spa and sports courts. Contact me for a FREE email search I can email you a brochure and map of the community as well. Resales are $155k - 205k. Solera at Anthem - Henderson/Anthem zip code 89044, mountain views, pool, Clubhouse, amenities. $160,000 - 319,000 are the prices on resales. Please contact me for a FREE email search or information. Solera Townhomes Henderson/Anthem zip code 89044. Gated, Clubhouse, stunning mountain views, pool, rec room, tennis. Resales are selling from 160000 to 205000k. Email for a private showing or free email home search. Please list what you are looking for when emailing, thank you. Sun City Anthem - Henderson/Anthem zip code 89052, pool, Clubhouse, Golf, rec room. Resales are priced from 143000 to 895000. You can Search on your own or email for a FREE customized home search direct to your email. Ardiente - Northwest zip code 89081. Guard Gated, Clubhouse. Resales are priced from 130000 to 260000. (Runvee is the legal subdivision name) There is NEW home standing inventory here also. Please Contact me for pricing and information, I can also customize a search to your inbox. You can also build these home in about 5-6 months out. Siena - Henderson/Lake Las Vegas zip code 89011, Guard Gated, Golf and Lake community. Resales are 829,000 to 1.3 million Get a FREE search emailed to you or search the multiple listing on your own here. Sun City Aliante - North Las Vegas zip code 89084. Not Gated, Clubhouse, Pool, Tennis, Golf Community. Resales are priced 125000 to 319000. Feel free to Contact me for information or a list of homes emailed to you. Sun City MacDonald Ranch - Henderson/Green Valley zip code 89012. Not Gated, Pool, Tennis, Clubhouse with restaurant, Golf community. Resales are priced from 175000 to 380000. Get free customized home lists by contacting us here and listing your criteria. Highland Fairways Not In Las Vegas - Mesquite, NV zip code 89027. Resales are priced around 250000. Get your home search emailed free by contacting me with your criteria or do your own home search of the 89027 zip code right here in our database. Quail Estates West Townhomes - Southwest zip code 89102. Guard Gated, pool, spa, Clubhouse. Resales are priced from 70000 to 90000. Get free home searches when you contacting me with your Las Vegas Senior Living requests or feel free to use our multiple listing search to look on your own. Silver Canyon Condos - Southeast zip code 89120. Gated, pool, spa, tennis, exercise room, clubhouse. Resales are priced from 70000 to 80000. Get free representation by contacting me with your areas, size, etc. Get a free customized search of your own when you visit the home search link. Rancho Las Brisas - Southwest zip code 89147. Gated, pool, tennis, clubhouse. Resales are priced from 150k-190k Get free information and representation by contacting me or feel free to visit my search tool link here to look at what is available. Silver Springs - Southeast zip code 89122. Gated, pool, Clubhouse. Resales are priced from 90000 to 130000 For showings, Contact Me or find out what is selling where you want to live right here. Promenade - Northwest zip code 89107. Guard Gated, pool, Clubhouse. Resales are selling from 90000 to 180000. Search the Multiple Listing database by yourself on above link or feel free to Contact me anytime with questions or to get custom email searches. Royal Crest Circle Condos - Central zip code 89169. Guard Gated, Clubhouse, Tennis, jogging, Pool. Resales are priced from 80000 to 85000. The link will search provide a search tool for you to customize or you can Contact us for help with your questions. Lake Mountain - Boulder City, NV zip code 89005. Clubhouse, Pool, Spa, RV parking, Mountain Views. Resales are priced from 140000 to 220000 You can search the MLS yourself here or Contact me to have a search emailed to you. Royal Ridge Estates- Southwest zip code 89103, Gated, Pool, Spa, Tennis, Excercise Room, Clubhouse, Resales are running 70k-150k. You can do your own search here or Contact us for information. River Mountain - Henderson zip code 89002. Clubhouse. Resales are from 65000 to 120000k. Feel free to search for homes here, or request a customized list to your inbox. Affordable Housing from the governments resources that are established to help you. Visit here for great part time job ideas for seniors. Great advice from AARP. Helping Hands Of Vegas Valley an organization that provides NO cost services that help assist Senior Citizens to remain independent. Rides to Doctor appointments, food delivery to home bound seniors and more. Please visit the website link to contact us. Senior Citizens Advisory Board Dealing with important social service issues relating to our senior community. Tai Chi, Quigong, Chair fitness, Chair Yoga, Silver Sneakers Line Dancing, Bone strengthening class, Ballroom Dancing, Silver Sneakers Classic, Silver Sneakers Yoga, Crafting, Weekly Movie and Popcorn, Bingo, Your Family Tree, Medication information, iPad 101, Aging gracefully, Supermarket tour. Events and Services City Active Adult Centers and activities. Each of these centers has its own full calendar of events for your enjoyment or assistance. Centennial Hills Active Adult Center Northwest located on 6601 North Buffalo, zip code 89131. phone 702-229-1702. Holding AARP FREE tax preparation, Grief and loss support groups, Fitness Center, Yoga, Dance, Quilting, line dancing, Alzheimer and Dementia Support, poker, golf, book club, gardening... Shall I go on? Doolittle Center Central North location, 1930 J Street, zip code 89106. 702-229-6125. Holding Bike club, stretch, computing, fitness, walking, sewing, dance, buffet breakfasts, luncheons, AARP Free tax preparation, and so much more. East Las Vegas Community Center Central east location at 250 north Eastern, zip code 89101. phone 702-229-1515. Holding Zumba, yoga, dance, crafts, performance group, culinary, cards, brunches galore! Howard Lieburn Center Central West location, 6230 Garwood, zip code 89107. Phone 702-229-1600. Holding Gardening, painting, line dancing, art, cooking, fitness, puzzles, scrabble, canasta, FREE AARP tax preparation, movie night too! Las Vegas Senior Center Central East location 451 East Bonanza Road, Zip code 89101. phone 702-229-6454. Holding Jewelry making, ballroom dancing, ceramics, zumba, tai chi, ukulele, billiards, chess, bridge, FREE tax preparation, safe driving... .
Download all of the centers activity guides here, or visit this link, if the one I have is outdated to download the city's main page for a recent copy. 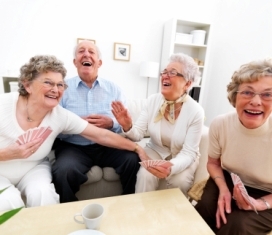 Senior Law Project - assisted legal program for Las Vegas Senior Living. PLUS a lot more help on this page, FREE legal help There is a lot out there for you, you just have to make some calls. Complete Directory from Las Vegas Metro Chamber of Commerce. Seniors Helping Seniors Matching those that want to help with those that need help. Cooking, housekeeping, companionship and much, much more! People that want to make a difference. Nursing Homes a link right to the directory listing. Dial 2-1-1 for the following Help! 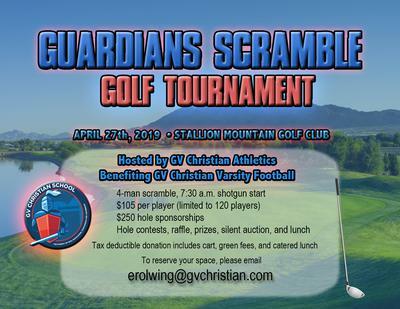 Please call 702-388-4888 to find out more about our programs and register. Such as memory screening, quit smoking, healthy aging, Breast cancer porsthesis and bra fittings, CPR, First aid, reflexology and more. Thank you for visiting Las Vegas Senior Living we welcome your feedback and input, please LIKE our page! Return to Home from "Las Vegas Senior Living"
Quigong, Tai Chi, Chair fitness, Line Dancing, Ballroom dancing, Silver Sneakers Classic, Silver Sneakers Yoga, Crafters, Strength and balance, Walking Club, Exercise, Quilting, Zumba, Weekly movie and popcorn, Medication classes, Supermarket tour, Family tree class, Talk with a pharmacist, Bingo, Aging gracefully, track, field, race walking. Aerobics, Drawing 101, Needlework, Knit and crochet, Scrapbooking, Tap dance. Still want to sing, act and dance? Call them they are an over 55 theatre.